I have been fortunate enough to have carried out physics research in many exciting places. 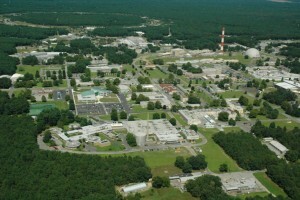 It may be different today, but in 1987 my colleagues loved reminding me that we were in “The South” and that I was a so-called “Yankee.” I was assigned to a team in the computational division (actually, I applied for the position).This was the height of the cold war, Ronald Reagan was pushing his “Star Wars” agenda, and a few of my team members contributed to either making or transporting nuclear weapons. In fact, for a brief time I shared an office with a mathematician who was figuring out how to transport missiles on trucks, under the condition that the highway system might be destroyed during the journey, so the route would have to be recalculated. My greatest and best memories were all the trips I took on the weekends, sightseeing throughout the South. If the South is still like this today, I miss the friendliness of the people, and I would welcome a chance to go back. 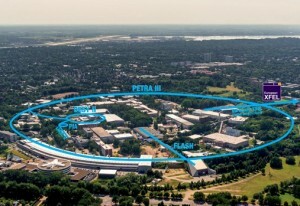 You can read more about my work on superconductors. I have more fun stories of Brookhaven than I could ever print. It is located on a beautifully wooded site on Long Island, and on the weekends I would take long hikes alone through the woods. On one occasion during my hikes, I accidentally re-discovered an area enclosed by old, rusted barbed-wire fence: I researched this and learned the area was called the “Cobalt Forest” and it was the site where “screamingly hot” cobalt sources were planted outside many years earlier, to study the long-term effects of radiation on biology. And on another occasion I came to a stunningly beautiful grass clearing, which I walked across, only to discover a barbed-wire fence with an old rusty sign pointing away from me. Peering over the fence, to see what the sign said, the words were vaguely revealed through the rust: “Radioactive Dumping Area, Keep Out.” Fortunately I was wearing my radiation dosimeter, and after helping me research the archives and old maps, the radiation officer told me I was not in any risk. A few years later the government started the “Super Fund” program to clean up the worst environmental problems, and as far as I know, Brookhaven was on the list. You can read more about my work on cold fusion and positron research. First, you step into the airlock and your ears pop because they keep the air pressure inside much lower, so no radiation could escape. Then you are blinded by the world’s oldest retina scanner. Then as you pass through the second airlock you enter into a steel cage, where Department of Energy guards point their rifles at you, until your badge is checked again. A day in the life at work at highly-restricted “control deck” of the reactor, where I helped dismantle an experiment we set up there. You need a special security clearance to get in, and at 21 years old I might have been the youngest to have this. 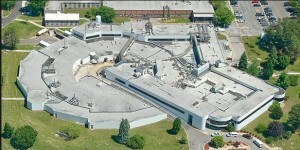 The Bell Labs’ beamline was a fun place to work; I looked for “extraordinary epitaxial alignment in rare earth superlattices” – nothing found, so nothing published. 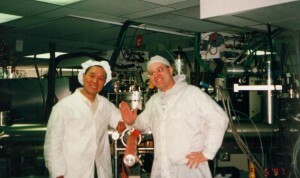 But I was good friends with Ian Robinson, who ran the beam line: so no stress, no proposals, just scientific fun. But my best memory was heading into the beamline one Sunday morning, only to find the whole facility surrounded by thousands of huge Canadian geese that landed there. Even in the parking lot there were well over 600 geese. I’ve dealt with bison in Wyoming, soldier ants in Malaysia, and marauding lemurs in India – but nothing approaches this many geese – I mean literally, nothing is allowed to approach this many geese! The problem is, I returned to the guest house, suffered the consternation of Ian (who thought I was just too lazy to work), and when he finally went in, the geese had left. Even today he thinks I am lying when I tell this story, but I swear: it’s true! 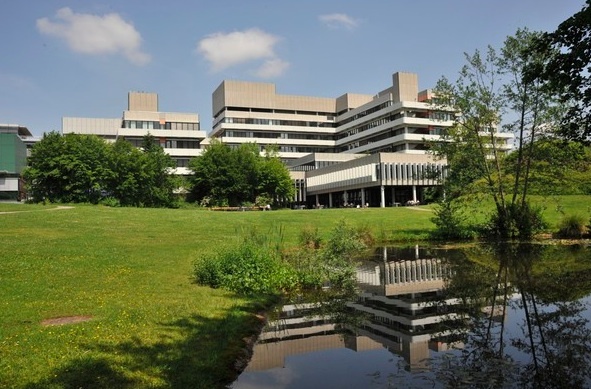 I didn’t work here long – I was never a neutron specialist – mainly I dropped by check up on some experiments that my colleague Katharina Theis-Bröhl was running; she is an neutron expert. If x-ray synchrotron sources are speedboats, then neutron laboratories are sailboats or even buoys. It can sometimes take hours to record a datapoint, whereas x-ray data is often collected in seconds. 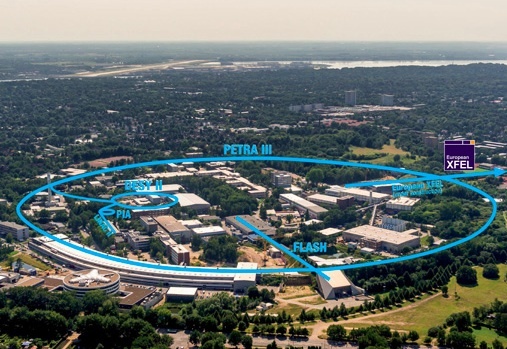 In my limited experience that means a whole different “tempo” at which life for the neutron scientists is lived; if they take a 5-minute coffee break, that’s hardly noticeable for the job they have to do. 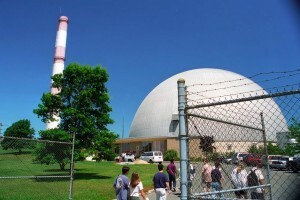 What I found interesting about this reactor was that they earned extra money by renting out their radiation! It seems gem dealers are willing to pay a lot of money to have their gems irradiated; the radiation causes the gems to change color, and some gems are worth more money this way. 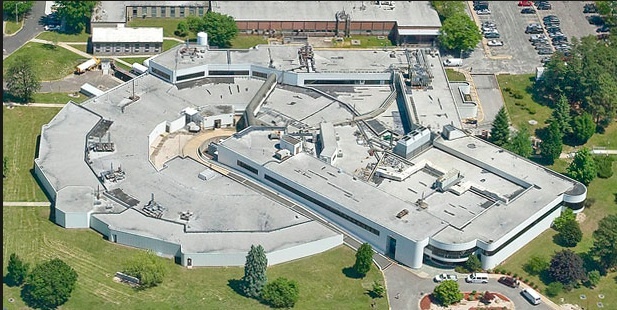 Until it was recently decommissioned, the Epi-Center was the world’s largest contiguous MBE machine: it was a collection of ten MBE systems, linked together in a massive UHV environment, together with every conceivable analysis method: AFM, STM, LEED, RHEED, XPS, Auger, LEEM, you-name-it. 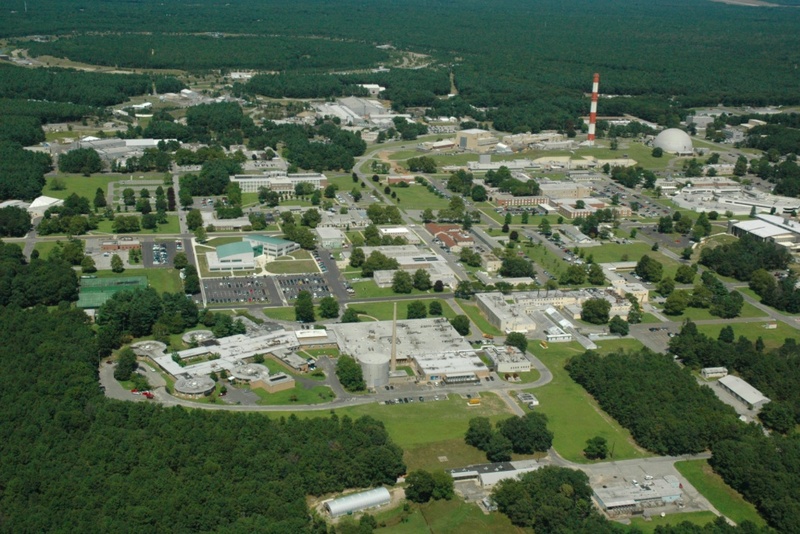 The center was so large that it occupied two floors of a building, and samples created on one floor could be lowered via a special UHV-elevator to the second floor for analysis. 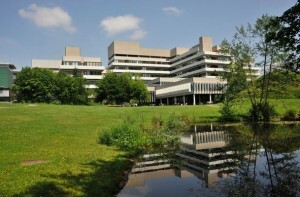 I spent nearly seven years working in this laboratory, side-by-side with Ph.D. students that have gone on to have stunning careers. It is an interesting place: because MBE systems like this do not come with instruction manuals, it took nearly one year of hard effort just to learn the basics of running the systems. Arguably the most fun part of the job was working with Doug Jeffers – a farmer from central Illinois who became a laboratory technician. In my view, there are no more pragmatic, capable people than farmers – give them a piece of wire and a battery and they can fix anything! You can read more about my work in MBE. 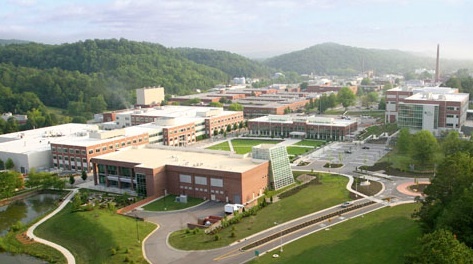 It’s hard to find an ugly national laboratory: they are so big that they are usually located in rural areas with pretty landscaping. But the Max-Planck-Institute for Metals Research, nestled in the forest-covered hills of Büsnau, outside of Stuttgart, deserves to win an architectural prize. I very badly wanted a postdoctoral position in Germany . . . and after many, many visits to many, many professors I kept getting the same feedback: go see Helmut Dosch in Stuttgart, go see Helmut Dosch in Stuttgart. I never knew him, so I thought “Who is this Helmut guy?” And when I showed up at the MPI, he himself had just joined a day earlier – and the many, many halls and labs and offices were completely empty. “Would you like to work with me?” I think he said – and I remember thinking, am I crazy to come to such a big empty place? But I’m glad I did: my years with Helmut were wonderful, his team and his organization were the best team I’ve ever worked with, I learned so much from him, he supported me and never criticized my decision to leave research, and even today we remain in touch. You can read more about my work on organic crystals and image analysis. My favorite story about this place has nothing to do with research, but it still gives me goosebumps – and it’s uncomfortable to recall. Late in the evenings after our measurements were completed, my colleague and I would go to eat in a fabulous Egyptian restaurant in the Altona district of Hamburg, where you sit on the floor. The place was usually empty – except for a dark table in the corner occupied by two people who (how do I say this?) looked and acted suspiciously. Each time we’d come in, their table would be covered with papers and charts, they’d look up somewhat furtively at us – and I think on occasion my colleague and I would joke that they might be terrorists. Well, this was in the year 2000, and it was the neighborhood that – as everyone later learned – the terror attack on 9/11 were planned. Was I looking at the planning in progress? You can read more about my work on x-ray diffraction. 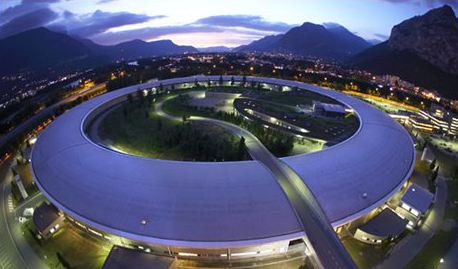 At the time, the premier synchrotron facility in the world – and absolutely, positively fun – but only in the masochistic sense. It takes a (damn good) proposal to get beamtime here (which was hard work itself), and then you are under tremendous pressure to get results, lest your next proposal will have more difficulty or be rejected outright. I think only the Navy SEALs could feel at home here: you go into a very high stress situation that could potentially kill you (at least career-wise), knowing it will be days or weeks until you finally sleep. And when you get good news as I often did “Ken, we are getting extra X days of beamtime!” then you know that is just so many extra days you’ll go without sleep. But I still remember fondly the great folks I worked with there, not only my colleagues like Frank Schreiber, Bärbel Krause, and Arnd Dürr, but the beamline responsibles Detlef Smilgies and Bruce Cowie. In fact, it was through very friendly discussion with Bruce over coffee that we brainstormed a few of Bruce’s ideas . . . and we were able to show a highly-respected x-ray technique (known as x-ray standing ways) had major, serious flaws that many scientists were previously unaware of. For me, that was the pearl after a sleep-deprived three weeks of oyster culling.